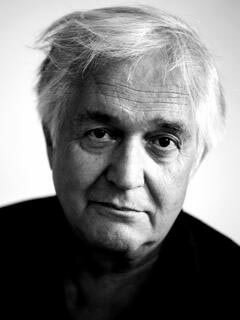 Henning Mankell (1948–2015) was an internationally bestselling author who received numerous awards, including the Crime Writers’ Association’s Macallan Gold Dagger and the German Tolerance Prize. His Kurt Wallander mysteries are global bestsellers and have been adapted into the PBS Masterpiece Mystery! series Wallander, starring Kenneth Branagh. The New Press has published English translations of nine of his Kurt Wallander mysteries—Faceless Killers, The White Lioness, Sidetracked, The Fifth Woman, One Step Behind, Firewall, The Dogs of Riga, The Man Who Smiled, and The Pyramid—and Before the Frost: A Linda Wallander Mystery; the novels The Return of the Dancing Master, Chronicler of the Winds, Depths, Kennedy’s Brain, The Eye of the Leopard, Italian Shoes, Daniel, and The Shadow Girls; and the nonfiction I Die, But My Memory Lives On: The World AIDS Crisis and the Memory Book Project. Born in Stockholm, Mankell grew up in the Swedish village of Sveg. He divided his time between Sweden and Maputo, Mozambique, where he was a director at Teatro Avenida.